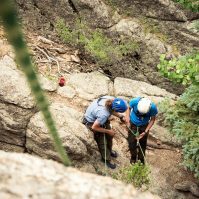 The Rocky Mountain Outdoor Center has been a leader in outdoor adventure since 1982. 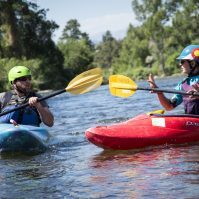 We offer professional kayak instruction and SUP instruction, as well as guided rafting trips on the beautiful Arkansas River near Buena Vista, Colorado. 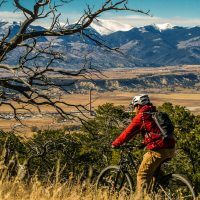 Check out classic sections like Brown’s Canyon or The Numbers. Our riverside outpost is only a short drive from Colorado Springs or Denver. 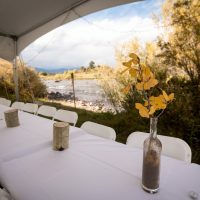 We are located on the banks of the Arkansas River and shadowed by the towering summits of the Collegiate Peaks. Our riverside outpost and campground sits right at the edge of Brown’s Canyon National Monument. At RMOC we invite you to ‘Choose Your own Adventure’ in our wonderful outdoor playground. 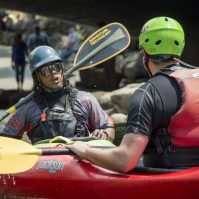 Activities include: Kayaking, rafting, rock climbing, mtn. 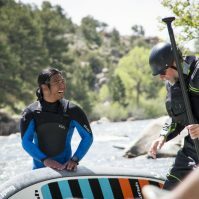 biking, inflatable kayaks, and stand-up paddling (SUP). Or combine any of these activities into a multi-sport adventure! Whatever your adventurous heart desires, we have the perfect trip for you and your group of friends. Half-day, Full day, and Multi-day trips available. Please call for details.